Since 2000, the DSF Group has invested more than $2.6 billion in real estate. With offices in Boston and Washington DC, and decades of experience, we strive to create unique, award winning properties designed to provide strong risk-adjusted returns. Our three founding partners—Art Solomon, Josh Solomon and Thomas Mazza—are entrepreneurial owners who are passionate about what they do and enjoy being hands-on operators. The DSF Group takes a vested interest in the success of every project and is committed to being there every step of the way. The partners of the DSF Group are involved on a day-to-day basis with every asset, working and collaborating side-by-side with architects, engineers, city officials, and contractors. The relationships we’ve established over the years provide us with advantages in sourcing opportunities, negotiating transactions, and navigating complex regulatory environments. With over 125 years of combined experience in every facet of multi-family real estate investing, the partners bring a unique perspective, level of expertise, and entrepreneurial sensibility that helps maximize opportunities. Before co-founding the DSF Group in 2000, Arthur was senior partner and head of both real estate investment banking and real estate principal investments at Lazard Frères, the global investment firm. He also served as CEO of Lazard’s five real estate funds. Prior to Lazard, Arthur founded and served as the senior partner of Drexel Burnham Lambert’s real estate investment banking group. His experience also includes serving as Chief Financial Officer of Fannie Mae, where he created its mortgage-backed securities program, and President/CEO of the Berkshire Group, a national real estate and financial services firm. Earlier in his career, Arthur was a tenured professor at the Massachusetts Institute of Technology and Executive Director of the Harvard-MIT Joint Center for Urban Studies. He holds a B.A. from Brown University, an M.A. from Trinity College, and a Ph.D. from Harvard University. As Head of DSF Groups investments, Mr. Solomon is in charge of the company’s acquisition and development activities. He also evaluates and negotiates new investment opportunities and manages the business plan of each investment asset. Since the DSF Group’s inception, he has been responsible for more than $2.6 billion in new investments. 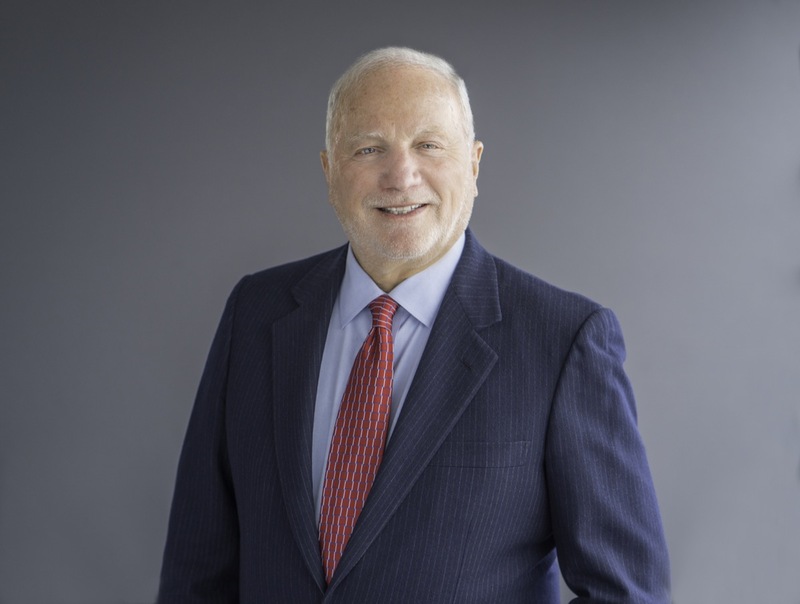 Prior to co–founding the DSF Group, Mr. Solomon served as a Vice President in the Partners Group of AEW Capital Management, where his group acquired commercial and multifamily properties throughout the Northeast and Mid–Atlantic United States. Mr. Solomon is very active in the real estate industry and within his community. He sits on numerous boards and committees such as NAHB’s Multifamily Leadership Board, Heading Home Inc. which pioneered programs to end homelessness in Greater Boston and the Nashoba Brooks School. Mr. Solomon is also the owner of the Hartford Yard Goats, the AA affiliate of the Colorado Rockies. He lives with his wife Nancy and four children in the Boston area. Mr. Solomon earned a B.A. from Northeastern University and an M.B.A. in Real Estate and Urban Land Economics from the University of Wisconsin in Madison. 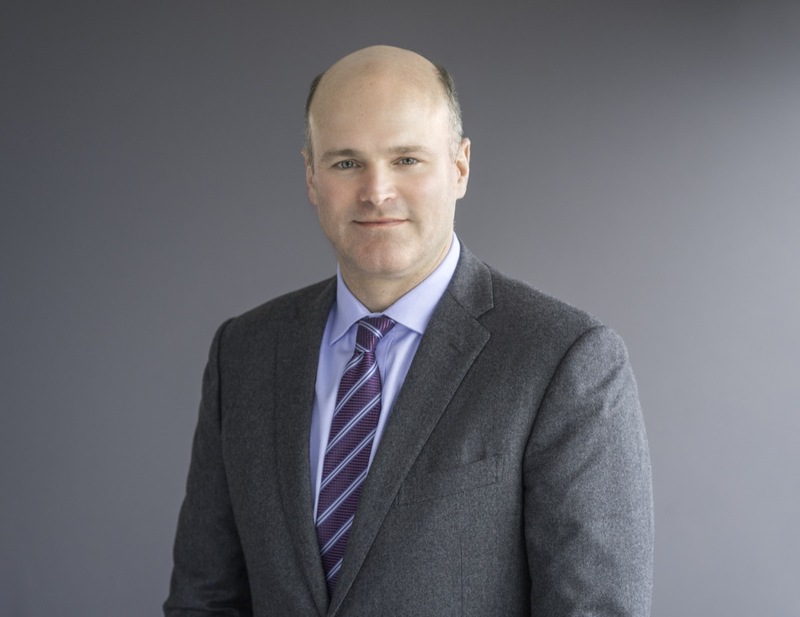 As COO and head of Asset and Portfolio Management, Thomas manages the day-to-day operations of the DSF Group, including the financing, management, leasing, and disposition activities for all the firm’s properties. 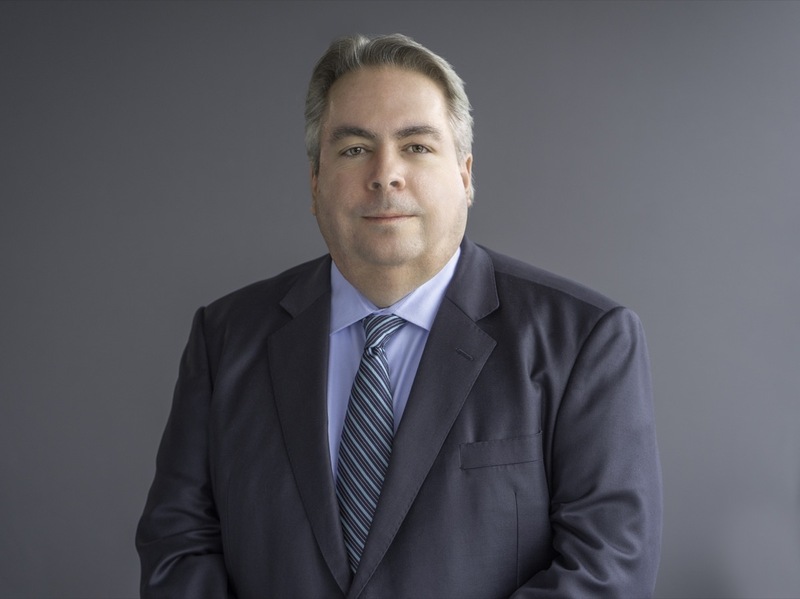 Before co-founding the DSF Group, Thomas was with AEW Capital Management, where he was Vice President of Acquisitions and Portfolio Management, heading a team responsible for acquiring and managing real estate investments throughout the East Coast. His experience also includes serving as Vice President/Shareholder, Acquisitions and Dispositions at Copley Real Estate Advisors. Thomas is very active in the multi-family industry and within his community in the Boston area. He sits on numerous boards, including the NAHB Multifamily Leadership Board, and he is an active member of the National Multi-Housing Council and ULI. Thomas is a Chartered Financial Analyst and has a B.A. in mathematics from College of the Holy Cross, as well as an M.B.A. from Boston College. The DSF Group and the projects it has developed have earned many prestigious industry awards. The DSF Group purchased Hilltop Ridge and The Highlands, a 640-unit apartment community located in Manchester, NH. The DSF Group announced the sale of Halstead Dulles, a 244-unit, multifamily community in Herndon, Virginia. The DSF Group purchased a 180 unit multifamily community located in Abington, MA. The DSF Group purchased Fairlawn Apartments, a 347-unit apartment community located in Boston, Massachusetts. The DSF Group purchased the Talleyrand Apartments, a 300 unit multifamily community located in Tarrytown, New York. CBRE/New England's Capital Markets team facilitates the sale of Halstead Westborough to Harbor Group International for $75.8M. The DSF Group purchased the Avalon Milford community for $50.5M, a 246-apartment community located in Milford, Connecticut. Newmark Knight Frank orchestrates $130M transaction of Halstead Danvers on behalf of The DSF Group to Harbor Group International. The DSF Group Sells The Rockwell and The Lanes at Halstead Square. CBRE/New England's Capital Markets team announced the sale of Halstead Tewksbury to JRK Property Holdings for $56M. The DSF Group announced the grand re-opening of Halstead Malden Square, a transit-oriented multifamily apartment community located within walking distance to the Orange Line MBTA Transit Station just outside of Boston, MA. The DSF Group purchased the property in 2016 and immediately commenced a complete renovation of the community’s common area amenity spaces and implemented their Halstead brand of high quality amenities and technology. The DSF Group sells Halstead White Plains for $34.25M to Ginsburg Development. The DSF Group purchased the La Rochelle Apartments for $148.5M, a 412-unit, 25-story luxury tower in Westchester County. Halstead Danvers holds grand re-opening. DSF Group has paid $63.5M for Flanders Hill at Westborough, a 280 unit apartment property in the Boston suburb of Westborough, MA. Here in suburban Vienna, about 16 miles west of downtown Washington, Joshua Solomon’s DSF Group is remaking a congested but nondescript intersection into a haven for young adults of the millennial generation. Like many other developers who survived the housing bust, he now expects a coming wave of renters who intend to stay that way for a while to help lead the industry to a brighter future. Rentals Ramp Up - Snapshots of Real Estate News From Around the U.S. The recession added 875,000 more U.S. households to the ranks of renters, the website Trulia found. Developers have been adjusting: Construction of multifamily units is now at its highest rate in 25 years, while single-family home construction has barely reached pre-recession levels, the New York Times reported. Developers like the DSF Group are building rentals in suburbs near mass-transit hubs, where cheaper land affords the opportunity to offer more luxurious amenities. One report found apartment construction in some markets, including Austin, Texas, Washington, D.C., and San Jose, California, excedes pre-recession peaks; DSF has buildings going up outside New York, Boston, and Washington, in Vienna, Virginia. 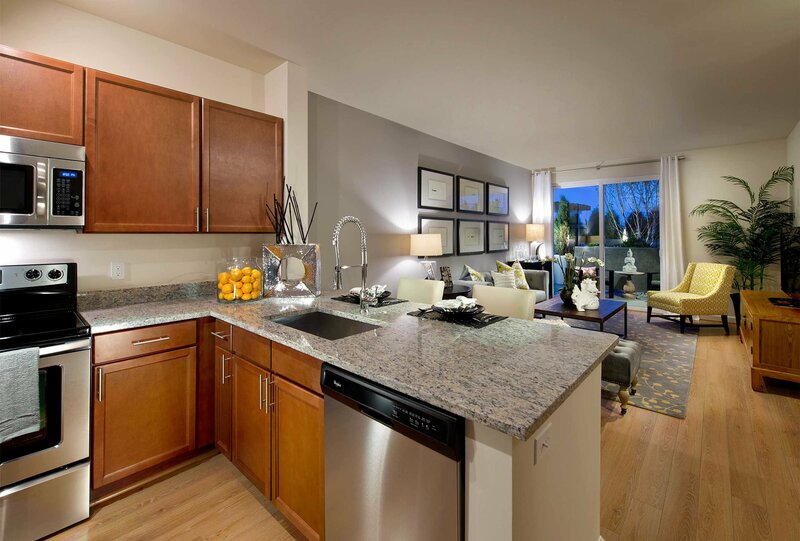 The complexes feature outdoor fire pits, high-tech entertainment systems, and even a residents-only bowling alley. Los Angeles Mayor Eric Garcetti set a goal of adding 100,000 new homes by 2021, a massive effort to relieve one of the country’s worst housing crunches. According to the California Finance Department, LA has averaged a net gain of just 5,500 units a year since 1991, the Los Angeles Times reported. To reach 100,000 in seven years, the city will need a variety of strategies, including revising the city’s permitting process (a project that is already underway) to build smaller homes in existing backyards. Garcetti set a benchmark that 30 percent of units built on land owned by the Metropolitan Transportation Authority be affordable housing. The mayor also said that he would work with the state legislature to restore housing funding to offset the cost of the affordable-housing allocation. A venture led by developer Trumark Homes is paying roughly $1.1 million per acre for a ranch about 35 miles outside of San Francisco, a price that represents a 30 percent increase in land prices in the area since 2010, according to Meyers Research. Trumark, in partnership with Isles Ranch Partners and Castlelake LP, will pay around $200 million for the 184-acre Wallis Ranch near Dublin, California, the Wall Street Journal reported. The price reflects the scarcity of developable residential lots in the area. Trumark will develop the land into 806 lots, which it will then market to homebuilders. The company expects prices for the homes built there to range from $700,000 for townhomes to $1.5 million and more for larger, detached dwellings. Zelman & Associates, a housing research firm, found in its quarterly survey that land prices across the country rose by an average of 13 percent in the third quarter, slowing modestly from a jump of 14 percent in the second quarter and 17 percent in the first. The Journal reported expectations that land price increases will slow further over the next year. Investors in The Grand Alps Resort DFW plan to build a $398 million, 1,900-foot-long indoor ski slope on 58 acres in the Dallas suburb of Grand Prairie by 2018. The investment group has raised $100 million through the State Department’s EB-5 program, through which qualified investors can receive visas for investing in projects that create jobs in the U.S. The project received $68 million from private-equity investors and another $35 million from Grand Alps itself, which is also building indoor ski resorts in Brazil, Malaysia, and China. Tom Cruise listed his 10,000 square-foot home for $59 million. The 298-acre gated estate also holds a 1,600 square-foot guest house and private trail system. The listing says the actor spent several years designing and building the stone and cedar house. Terry Bradshaw put his 740-acre ranch, where he raises horses, cattle and pigs, on the market for $10.8 million. The NFL Hall of Famer’s 8,600 square-foot house has a 1,000-square-foot outdoor patio with a kitchen, bar, fire pit, and TV for watching football. The ranch also has a two-story doghouse with its own pool. Jerry Garcia’s 1.1-acre compound at the base of the Willow Camp trail, overlooking the Pacific Ocean, was listed for just under $4 million. “San Souci” has three buildings, including a one-bathroom, 2,652 square-foot studio where Garcia recorded while living there in the 1970s. 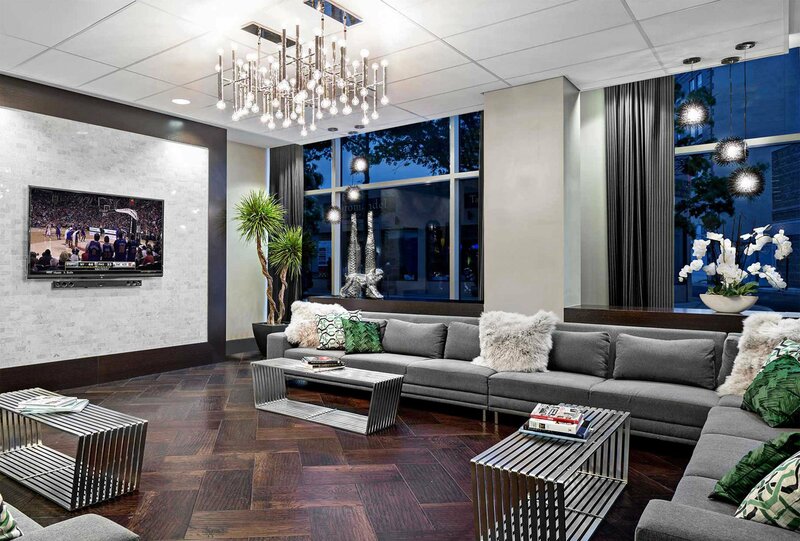 The DSF Group is proud to announce the Grand Opening of the luxurious amenity spaces at the Halstead New Rochelle Metro North apartment complex in New Rochelle, New York. 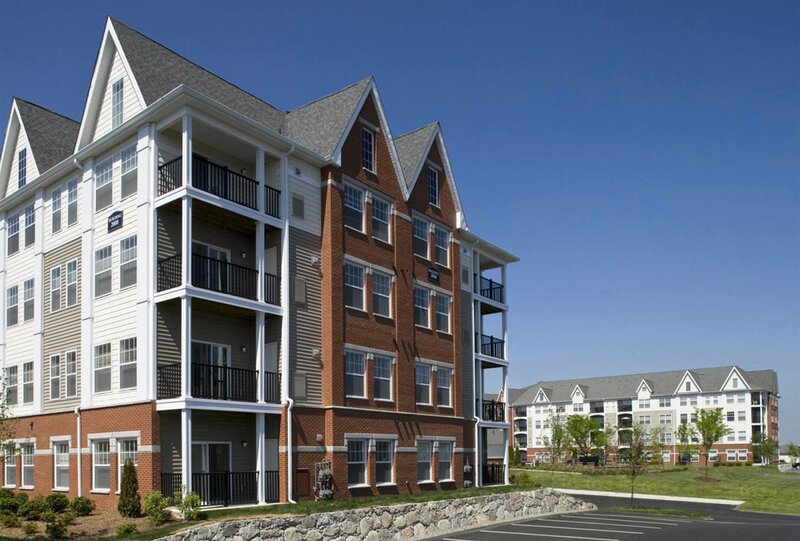 DSF Group has acquired Avalon Danvers, a 433-unit multi-family complex in the northeastern Massachusetts town of Danvers, for $108M from Avalon Bay Communities. HFF closes $210M sale of Avalon on the Sound East in New Rochelle, New York to The DSF Group. The DSF Group Acquires Shawsheen Place in Tewksbury, MA. DSF Group affiliate buys the Shawsheen Place at Tewksbury apartment complex for $47M. The DSF Group purchased the 124-unit asset located at 25 Martine Ave. in White Plains, NY for $34 million, from Korman Communities and BlackRock, Inc. At closing, the property was introduced to the market as the Halstead White Plains Metro North. The DSF Group donated 50 apartments worth of furniture and home goods to Furniture Sharehouse, the largest donation to date during the non-profit's five year experience. Furniture Sharehouse provides free furniture to economically disadvantaged individuals and families living in Westchester, County, giving them the basic household furnishings that enable them to rebuild their lives and live with dignity. DSF Group, the National Association of Home Builders (NAHB) 2011 Multifamily Development Firm of the Year, announced the launch of Halstead Dulles, a community redesigned with extensive new amenities. HFF announced today that it has closed the sale of Metropolitan of Fairfax, a 244-unit, Class A multi-housing community in Herndon, Virginia. HFF marketed the property exclusively on behalf of the sellers, Cornerstone Real Estate Advisors and Kettler, Inc.. A fund advised by The DSF Group purchased the asset for $59.25 million free and clear of existing debt. Upon closing the property was introduced as the Halstead Dulles. Vienna, VA – October 17, 2011 – Today DSF Group, the National Association of Home Builders (NAHB) 2011 Multifamily Development Firm of the Year, announced the grand opening of Halstead Square, a distinctive new mixed-use development of restaurants and retail at the Dunn Loring Metro. Halstead Arlington has been selected as the winning property for Delta Associates' 13th Annual Apartment and Condominium Industry Awards for Excellence in the category of Best Mid-Atlantic Mid-Rise Apartment Community. The Smart Growth Alliance's Project Recognition Jury has recognized Halstead Arlington Mixed Use as a Smart Growth Proposal.